be there)…yet he kept right on doing his job professionally and appropriately. the both of us!! YOU GUYS ROCK!" of songs from the wedding was really sweet and I love listening to it. Thanks." "We hired A & A based on a recommendation from Sally Anglin at Forsyth Country Club and the good first impression when we first met. Thank you so much for working with Jo Stanley and Sally Anglin to produce a great event. We had a great time." the garter removal because we did not have many single men at the wedding, but Tony said he had an idea and took it from there. It turned out great. Very entertaining. Thanks for everything." "The office staff was quick to respond, easy to understand, helpful and very detailed. As for the reception, I loved it all. I was happy with everything." "We were impressed with the recommendations, awards, and our meeting with Larry and April. It really helped us gain insight as to what they offered and solidify their demeanor as a service. We loved our “Love Story.” It was great and really reflected us as a couple. Being together for 10 years makes it hard to remember details, but they really helped us pull out the information and turn it into a great story. Larry and April were great to work with and their main concern was getting the details that we needed for our event. At the reception, the guests thought it was creative and different and contained information that lots of people didn’t know. All the comments were positive and everyone really enjoyed the night." "The program and music made the night. It was great. We made the very best choice with A & A. No regrets and would do it again. 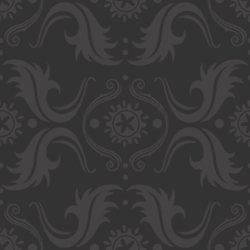 The Proximity Hotel staff were also great." 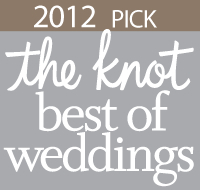 "The office staff was very friendly and knowledgeable on wedding and reception topics. They were very willing to offer assistance when needed, but open to our ideas and wants as well. During my wedding planning process I really liked the packet given to create our reception. I also liked all of the ideas given through A & A’s experiences. The prices were very reasonable, and when we needed to add some extra time to our reception, they were very easy to work with and get it taken care of without adding extra stress." and Larry for making our wedding day a dream come true." "We appreciated your working with our hectic schedules. Many nights we were on the phone with you well outside of normal business hours. You never made us feel rushed or like we were causing an inconvenience in any way. Thank you. The unlimited telephone calls to Larry & April were invaluable. The reception planner and song selection lists are amazing. You should promote your other services more because they are very competitive and some brides may overlook them, such as the lighting you did on the cake. Awesome effect! Larry & April, thank you so very much for all of your hard work leading up to our wedding. You both were incredibly patient and provided endless amounts of guidance as we worked through the theme and style of our dream reception. 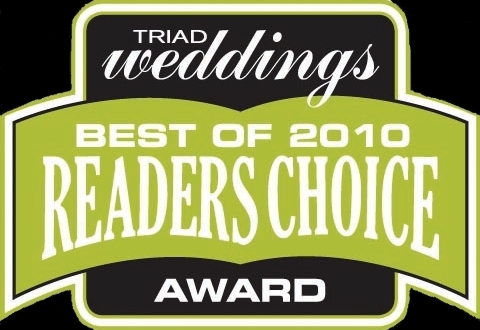 You have worked in the wedding industry for many years and your expertise is such an asset to all of your couples. From general advice to musical selections to proper lighting, A & A played a role in the successful execution of every element of our reception. Larry, you and your entire team were a true blessing to us and we are filled with gratitude. Al, you did a FANTASIC job at our reception! The musical selection was great and everyone loved the impromptu conga line! From the youngest to the oldest, everyone was dancing and having a ball—that is a sign of a truly awesome party. Thank you as well for the role you played in transitioning the mood for the reception from elegant to FUN. Everyone is still talking about the great time that they had. You were a very special part of our perfect day and we are most appreciative. Sincerely, Brittni & Devire` Robinson"
"April was very prompt about getting back to us when we had any questions. We were just so impressed. You guys were amazing. You did everything we asked for and more. Our guests were so impressed and had so many things to say about what you guys did for us. We attribute 100% of the credit for the success of our event to the entertainment. I thought the "Love Story" was wonderful. There was not a part of it we would have changed. Family and friends really enjoyed being part of the story, especially since many of them had never heard the full story. I am so glad that we used A & A. You guys made our night amazing!" "The time Larry took to talk to Stephanie (my daughter) made all the difference. She liked how he explained A & A's services when others she contacted did not promote their businesses, but just offered the prices. April was a true life saver for me. The time she took with me to go over the schedule and the suggestions she made were very helpful. Tony did a great job during the ceremony. Everything was timed perfectly. I had many compliments from the guests in reference to the DJ and the music selection. I thank Larry and April for dropping by to check on our event to make sure everything was OK. It made me feel even better for hiring A & A to handle such a special time for my daughter." was wonderful. My guests were raving about him from beginning to end. He was so on point. We made a selection change at the last minute and he was ready as if the change had never occurred. I thank you all for everything." "They were very prompt in returning calls and emails; very thorough during the planning process. A great experience. I met April at a bridal show. The option for our DJ to act as our master of ceremonies is what drew me in initially, because we didn’t have a coordinator. The service was friendly and professional and the price was right. Al did a wonderful job interacting with the guests, but not going overboard. The music was all great. We are thrilled with the outcome. We even passed your name on to a guest who requested it. Thank you so much for your professionalism. We had an awesome day!" "I credit the DJ entertainment with 100% of the success of our celebration. I was very impressed with Larry & April from our first meeting. I thought that the Love Story drew everyone in so that even the guests who didn’t attend the wedding, felt a connection to us. Like they had not missed a thing. Everyone loved it." "We were thrilled with the entire evening!" "April was great. She really calmed me down one night when I was stressed out. She knew so much about wedding reception planning and helped us make the right decisions for us. When we met with Larry and April the first time, they were so welcoming, but still professional. They won me over right away." "I would just like to thank April mostly for all her helpful advice and understanding. She was a real pleasure to speak with and made me feel very calm and excited! I was influenced to hire A & A through working with Bo's Photographery and seeing your work at other weddings. Also, Larry's character when we met at the bridal show. I loved the energy and professionalism you showed! I want to thank Larry, April and Al for all you've done for Alex and I. Larry and April...you both were an absolute pleasure to talk with and work with. Larry's personality and knowledge were very impressive and April's guidance and advice was very helpful. And Al was wonderful. He was everything I wanted and he did a great job. Thanks. Stephanie Flores"
"Meeting at the office with Larry & April we found them to be very professional and took the time to explain what they do and the services they provide. Thank you for helping make our evening even more magical! The Love Story was most definitely a hit and we loved your music selections. We had no pressure and were able to have some fun! We recommend you all to everyone!!" "Thank you so much for your guidance, your enthusiasm and for making Jennifer and Nathan's special evening one to remember! 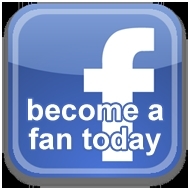 Sincerely, Shirley Wagner"
"Thank you so much Larry & April for all your help. 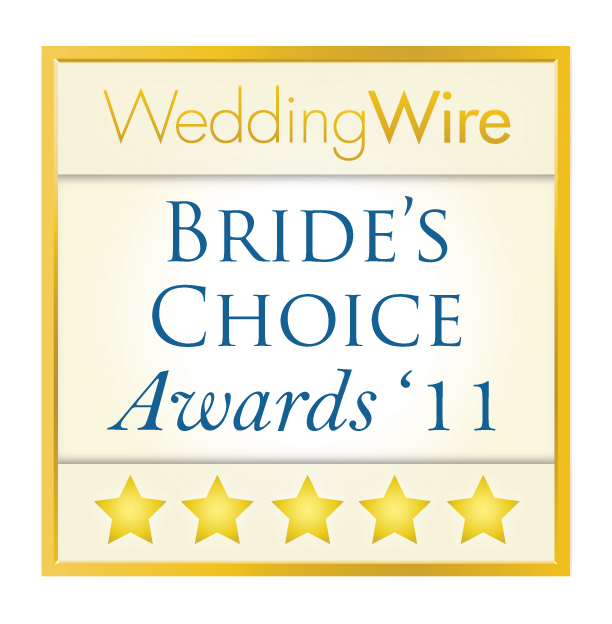 We loved your experience and professionalism and the planner was very helpful. Thank you for all of your hard work. April – you are an angel on earth!" "April and Larry were extremely helpful and friendly and nice during the whole process. I really appreciated all that was done, everyone was very professional. 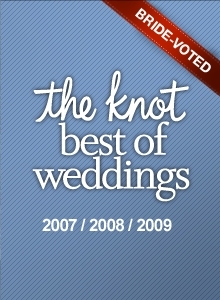 When looking, I found that A & A was in the Knot’s 2010 Best of Weddings and we also had a recommendation saying that they were the best, and then after meeting Larry and April, the decision was easy. Tony was great! He was professional and interactive. My family and friends also commented that he was the BEST MC / DJ they had ever encountered. He did a wonderful job and we thank and appreciate it so much!" "We were thrilled with our entire evening and Tony had a lot to do with helping the event run smoothly. We thank you so much for everything, and we wouldn’t hesitate to recommend A & A to our friends." "Our meeting with Larry & April made us feel that we would be getting the best service out there. We knew the music / entertainment wouldn’t be something we would need to worry about and we were NOT disappointed. We were more than happy with our DJ (Al) and have had several comments from staff and our wedding planner about how good and helpful he was. He made the night that much more memorable. We will definitely recommend A & A to others!" "Both April and Larry were very professional and helpful. They made us feel as though they really cared about our event. We had used A & A for out other daughter’s wedding seven years ago. We enjoyed Tony. He was very professional and made everyone feel relaxed. He engaged all of the guests, but was not cheesy." "April was a wonderful person to work with. She was very patient and had many great ideas. I was very grateful to be able to speak with her and get advice from her. She put my mind at ease and made me feel relaxed about the reception. My husband and I and my parents were thrilled to have Paul as our DJ. He was so friendly and wonderful to everyone. He also kept us “on task” to make sure we got all of our activities done in a timely fashion. Paul was funny and got out guests on ther feet dancing, which is exactly what we wanted (for everyone to have a great time). I’ve already recommended A & A to a few of the guests at the reception. Paul is a fantastic DJ and delivered your services exactly as I wished. A+++++++☺"
"April was always willing to answer my questions and even offered some ideas that I had not thought about. She was very good to work with. It went so well. I had been overwhelmed filling out all the information, but after seeing Paul in action, I saw how important it all was and how it all worked together. Definitely worth the time and effort I put into it."